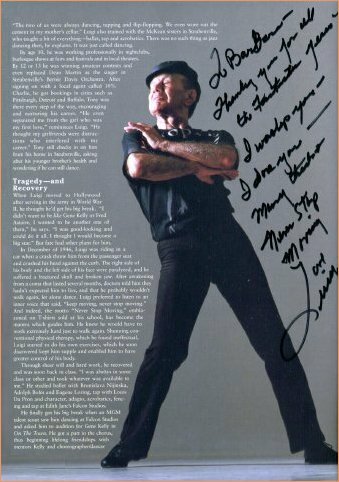 My dance teacher in NYC when I was twelve years old and to this day I take his class. 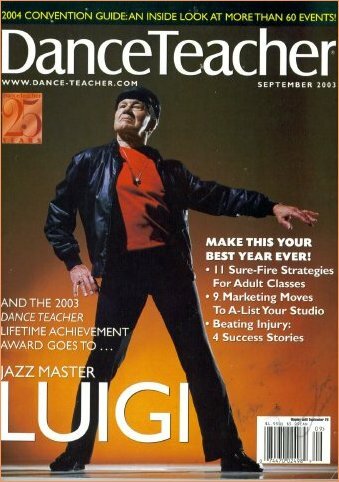 Some of Luigi's students are Liza, Donna McKechnie, Ben Vereen (still takes class), John Travolta, Barbra Streisand, Twyla Tharp... well there isn't enough room on these pages to list them all! Richard Rodgers sent me to dance class and for diction lessons. 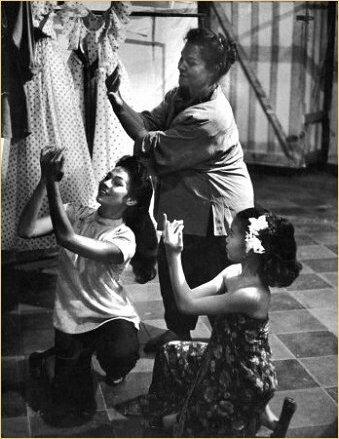 When I was Ezio Pinza's daughter Ngana in "South Pacific", one of my biggest dreams was to grow up to play Liat. 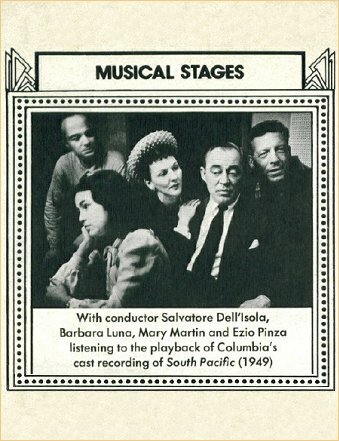 Finally it came to be in a company again with Mary Martin and Georgio Tozzi. That's Virginia Lee in the role of Ngana. When "The King and I" was closing, I didn't want to go on the road. Graduating seemed a better idea. 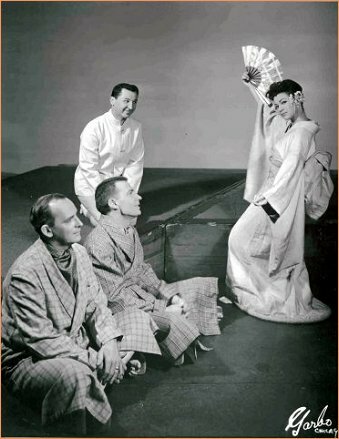 I auditioned for "The Teahouse of the August Moon" and was given the understudy role of Lotus Blossom despite the fact the role was spoken in Japanese. Seven months later I starred in the first national co. at age15. This dance photo was used in an article in the LA Times. 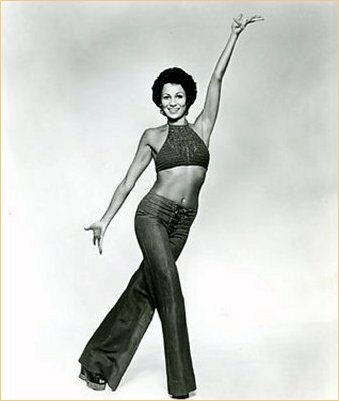 After a grueling audition for "A Chorus Line", only two of us from Los Angeles were chosen for the new NY Company. What an honor! 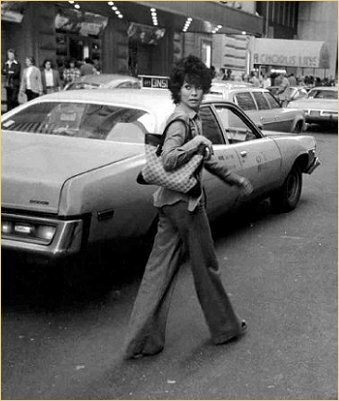 On my way to Chorus Line rehearsal, 1976. 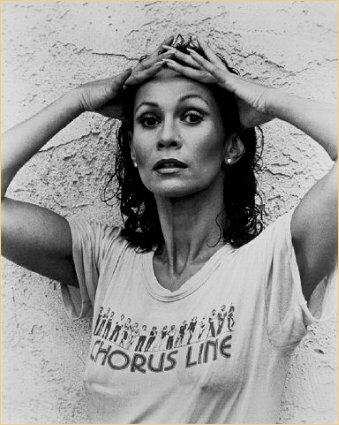 Diana Morales in the new NY Company in "A Chorus Line". 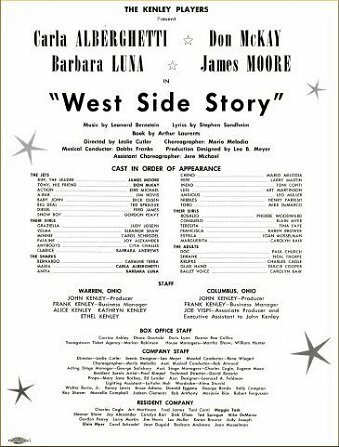 What a thrill to sing Marvin Hamlisch's tune "What I Did for Love". While I was on "One Life to Live", I would take Luigi's class after work, (1985-1987). 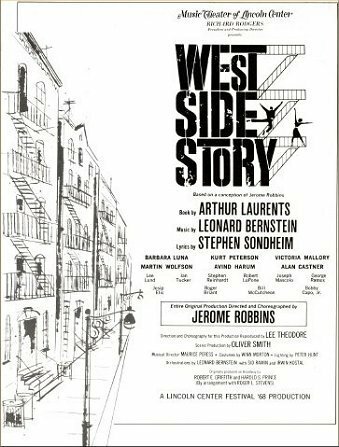 "West Side Story. 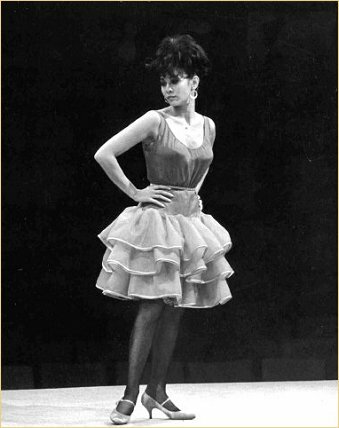 The role of Anita at The Kenley Players in Ohio 1967. The role of Anita at Lincoln Center, 1969. What a thrill to work for Richard Rodgers again. 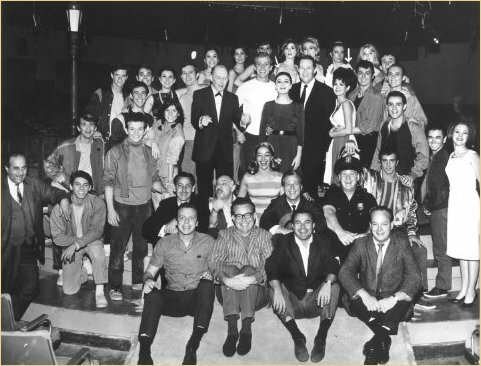 "West Side Story" in Los Angeles, (arrow). Can you pick out Teri Garr and Anna Maria Alberghetti? 1968.